Egyptian former UN Secretary-General Boutros Boutros-Ghali died on Tuesday in a hospital in Giza at the age of 93, the official MENA news agency reported. Born in 1922, the late top diplomat led the United Nations from 1992 until 1996, becoming the first Arab to hold the post. After returning to Egypt, Boutros-Ghali headed the state's National Council for Human Rights under former long-time President Hosni Mubarak. Ghali resigned later in 2011, the year Mubarak was ousted by a popular protest. United Nations Secretary-General Ban Ki-moon on Tuesday hailed Boutros-Ghali as "a respected statesman" and expressed sadness at his predecessor's death. "The late Secretary-General, Boutros Boutros-Ghali, was a respected statesman in the service of his country, Egypt," Ban said. Boutros-Ghali was a well-known scholar of international law and brought formidable experience and intellectual power to the task of piloting the United Nations through one of the most tumultuous and challenging periods in its history, Ban said. As Secretary-General, Boutros-Ghali presided over a dramatic rise in UN peacekeeping. He also presided over a time when the world increasingly turned to the United Nations for solutions to its problems, in the immediate aftermath of the cold war, Ban said. "Boutros Boutros-Ghali did much to shape the Organization's response to this new era, in particular through his landmark report 'An Agenda for Peace' and the subsequent agendas for development and democratization," he said. While praising Boutros-Ghali for rightly insisting on "the independence of his office and of the Secretariat as a whole," Ban stressed that "his commitment to the United Nations -- its mission and its staff -- was unmistakable, and the mark he has left on the Organization is indelible." Ban extended his deepest condolences to Mrs. Boutros-Ghali, as well as to the rest of the family, to the Egyptian people, and to the late Secretary-General's many friends and admirers around the world. The United Nations community will mourn a memorable leader who rendered invaluable services to world peace and international order, Ban said. 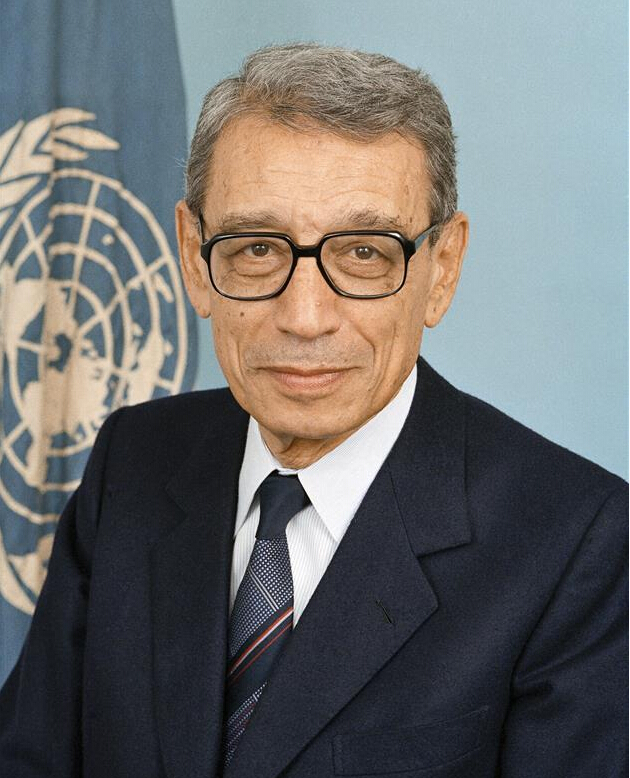 When appointed by the UN General Assembly as the body's chief in 1991, Boutros-Ghali was also Egypt's Deputy Prime Minister for Foreign Affairs. He served as Egyptian Minister of State for Foreign Affairs from 1977 to 1991, during which he became member of the International Law Commission. Ghali was part of the secretariat of Mubarak's ruling party since 1980 until his appointment at the United Nations, then he became member of the Egyptian parliament in 1987. In 1978, the diplomat attended Camp David summit and played a negotiating role in the peace treaty between Egypt and Israel reached later in 1979.